Plant breeder, KWS, has launched four, new-generation forage maize hybrid varieties, which are available for planting next season. The first of the short season hybrids is the ultra-early Cito KWS, which has an FAO of 150 and has been selected for its good early vigour. 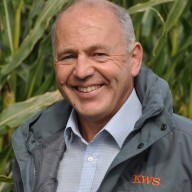 Suitable for both early and late drilling and with excellent disease tolerance, Cito KWS showed an 8% yield increase, compared with Kaspian (KWS) in trials last year, with no compromise on earliness. It also has a very high starch content, with a recorded figure of 35% (ME 12mj/kg). Meanwhile, the early variety, Avitus KWS (FAO 160/170), produced exceptionally high dry matter yields in trials, showing a 5% increase over Severus (KWS) and a 7% increase over Kougar (KWS). Avitus KWS also has rapid early vigour on all soil types, as well as high starch levels of 33.5% in 2015 (ME 11.9mj/kg). It is set to be one of the foremost UK forage varieties for 2017 and supplies are expected to be limited. Another new variety brought to the market by KWS is Autens KWS, an early hybrid with an FAO of 170. Characterised by its outstanding field performance, it had the top dry matter yield in its class across all NIAB trials in 2014 and 2015 and has shown excellent early vigour across all soil types. Autens KWS is also noted for its high starch content of 35.2% (ME 11.6mj/kg) in 2015. It was approximately four days earlier to harvest, compared with Severus (KWS), in KWS screening trials observations. The fourth new variety introduced for next season is Aurelius KWS. The early hybrid has produced superb yields in trials, overtaking Kougar by 5% across all sites and being awarded a 105% dry matter yield figure in the 2017 NIAB Maize Descriptive List. Aurelius KWS has rapid early vigour and a high starch content of 30.6% (11.mj/kg). It combines forage yield and energy content, making it particularly suitable for 60-70% maize inclusion diets. “These are exciting times and this is our opportunity to launch the first generation of new forage maize hybrids. KWS invests 15% of its global turnover into research and development and these varieties showcase the rapid genetic progress that has been achieved.